Freeway and Jay Z are teammates once again. It looks like the old team is getting back together. Freeway Instagram'd pair of photos yesterday suggesting that he has inked a deal with Roc Nation. First, he posted a photo of him posing at the Roc Nation office captioned "#Roc4Life." Then He then posted a photo of him throwing the Roc-a-Fella diamond with Hov's arm draped over his shoulder. “2017 should be a Great year!!" he wrote in the caption. 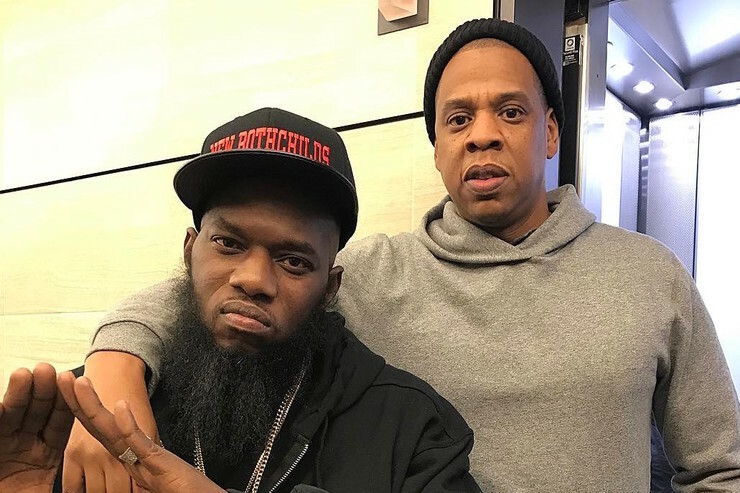 Freeway was a key member of Jay Z's Roc-a-Fella outfit in the early '00s. He would be the first Roc-a-Fella artist to reunited with Hov at Roc Nation. The Roc has been stockpiling veteran emcees as of late. In the past three months, the label has announced deals with The L.O.X., Yo Gotti, Fat Joe, and Jim Jones.